What about added security and why is it a reason not to upgrade? One word: jailbreak. It's so amazing how much you can improve your user experience by using "proper" jailbreak tweaks. The word "proper" should be highlighted. Using improper tweaks can send your user experience right down the toilet: battery will drain faster, UI will look ugly, OS may crash from time to time, and the phone's performance will be brought down to its knees. I have been very careful with my choices of jailbreak tweaks. But the few tweaks that I installed have made a night and day difference to the usability. I am completely lost when using my wife's iPhone which is running stock 5.1.1. It's slow (not fluidity wise, but execution time wise), time consuming and hard to use. So, I didn't want to upgrade without a jailbreak out. So, unlocking isn't really needed right now. Google has a solution to the Apple Maps problem. What about the jailbreak? The news is that it has been completed by the mighty jailbreak hackers. Not only for 6.0, but all the way up to 6.1 and for all devices. How wonderful is that? Rumor is that it is coming out this Sunday. Well, it might be Monday for me because I'm living in Japan. Still...it's amazing news. But I didn't want to wait. I just went ahead and upgraded to 6.1 today, before the jailbreak was released. Remember though, you should upgrade using iTunes, not over the air. Otherwise the upcoming Jailbreak might not work. I trust these guys more than Apple themselves. I made a backup prior to the upgrade. You know, things will always go wrong when you least expect. And just like expected, the upgrade did not go smoothly. I let it upgrade and went away to do some chores. When I returned, the phone was in DFU mode. But luckily, restoring the phone back to stock OS using iTunes brought it out of the DFU mode and completely fixed the problem. Once the OS restoration was completed, I could simply restore the backup I made prior to the upgrade and all my settings were back. I, of course had to sync back the apps and podcasts. So that's it for the part 1. 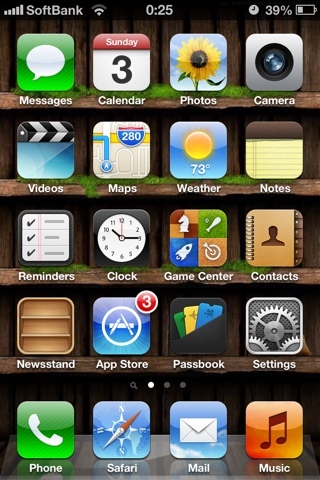 I will use iOS 6.1 for a couple of days and report back how better the new OS is. Right now, I just cannot wait for the Jailbreak.